I love when a book can grab you by the throat in the first few pages, and hang on until the last page is turned. It doesn’t happen very often. Too often a book opens with wonderful promise, only to lose my interest half-way through. Even worse is when a book opens with great promise, keeps me on the edge of my seat through every page, and then drops the ball in the last few pages. So disappointing that so many books do that. 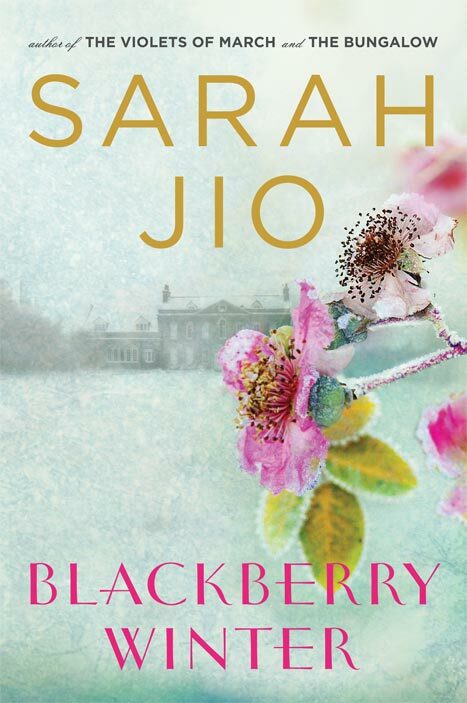 Thankfully, that’s absolutely not the case with Blackberry Winter by Sarah Jio. From the first few pages of this book, I was completely hooked; and, as I turned the last page, I did so with disappointment that the story had finally come to a close. I would miss the characters. Blackberry Winter tells the story of two women, Vera and Claire, both suffering the loss of a child, but separated in time by more than 75 years. In 1933 Seattle, Vera Ray is a young woman on her own with her 3 year old son, Daniel. In the midst of the Great Depression, she’s poor and her resources are limited. In order to keep starvation at bay, she must leave her precious child alone at night while he sleeps in order to keep her job as a maid at a nearby posh hotel. She kisses her son goodbye late one May evening and heads to work, only to be shocked early the next morning to step out onto snow-covered streets. She rushes home only to find her precious son missing from his bed. In 2010 Seattle, Claire Aldridge is a newspaper reporter assigned to write a story about a freak May snowstorm that has occurred on the exact same day as the one in 1933. Struggling to find an angle for her story, she notices the police blotter has a brief mention of the disappearance of young Daniel Ray. Further investigating reveals that his disappearance was written off as “runaway.” But Claire knows – as every rational adult understands – that 3 year olds don’t simply run away from home. What happened to Daniel Ray? It’s a question that Clair simply cannot let go. As she begins the investigation into what really happened to Daniel Ray, the emotional wounds of her recent loss finally begin to heal. The need to learn what happened to Daniel and to his mother begins to give her the first “purpose” since the loss of her own precious child nearly a year earlier. In order for her own wounds to heal, she must find closure for the disappearance of Daniel Ray. Blackberry Winter is a beautiful novel of loss and healing. The characters are compelling and made me feel such complete empathy for the plight of both women that I caught myself more than once with tears of empathy streaming down my face. The story was simply riveting. This book will be released on next Tuesday, September 25th, and will be available at the Rochester Public Library. For more information about this book, you can visit the author’s website by following this link. This entry was posted in Book Reviews, Mysteries, Reviews by Catherine H. Armstrong, Uncategorized and tagged blackberry winter, Book Reviews, Books, Friends Bookstore, Friends of the Rochester Public Library, Library New Arrivals, Literature, Mysteries, newly released, Rochester Public Library, sarah jio. Unfortunately, recently published items are not available through the MN interlibrary loan system for at least six months but the good news is the Rochester Public Library will be ordering this title. You may reserve it with your library card number.